One great way to get better at photography is to immerse your self in all of it. Take a listen as Beth and I discuss Photography Immersion as a means to improve your craft! So many people go on workshops trying to hone their photographic skills or just be with likeminded people in a place they have always wanted to go. Join Beth and I as we continue to discuss what to look for in a workshop as well as offer susgestions on what to do when you're on the workshop. Announcing the first annual Nature Photography Show workshop! It will be held at a little-known and remote gem of a location -- Great Basin National Park -- from September 6th - 10th, 2018. There will be opportunities to photograph from sunrise to sunset, and when it gets dark, the beauty of the park will really shine! We have scheduled the workshop during a new moon (i.e., very dark skies) to offer excellent opportunities for night photography and instruction. Well, here it is... 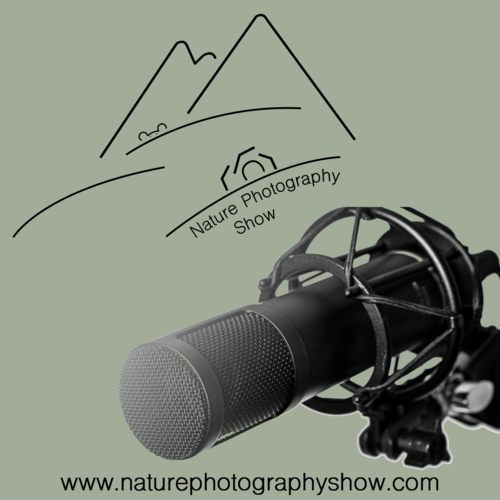 This is the introduction episode of the Nature Photography Show's Podcast. Please help us spread the word and grow this new Nature Photography Podcast as well as the website, YouTube, Facebook, and Instagram outlets.